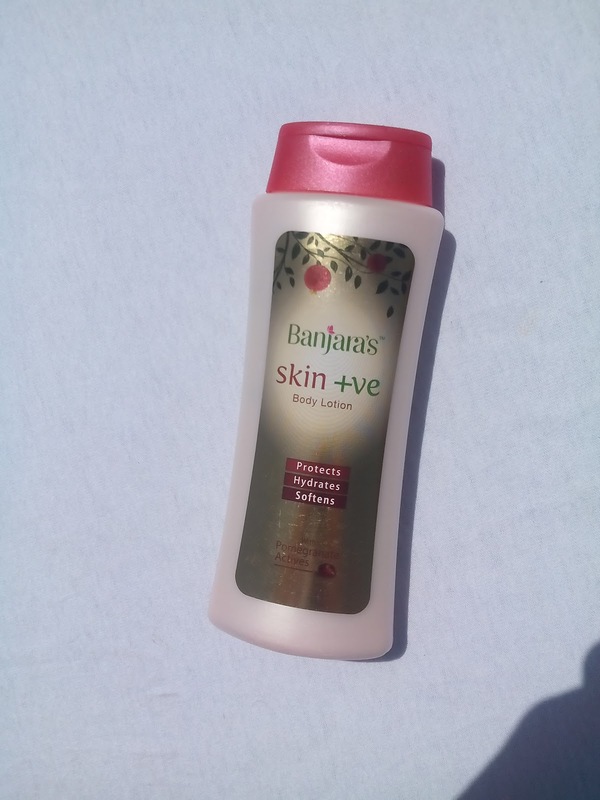 Banjaraas Skin +ve Body Lotion makes your skin healthy, youthful and flawless from within.Enriched with Pomegranate, Honey and Butters. Pomegranate protects the skin from aging and accelerates the skin repair process. 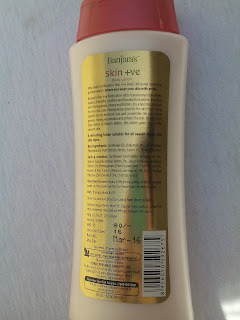 The Banjara's Skin +ve Beauty Body Lotion comes in a bright beige colored plastic bottle with a golden labeling on it. It has a orange colored flip open cap. Sunflower Oil, Kokum Butter, Shea Butter, Pomegranate Fruit Extract, Honey, Castor Oil, Yashad Bhasma. 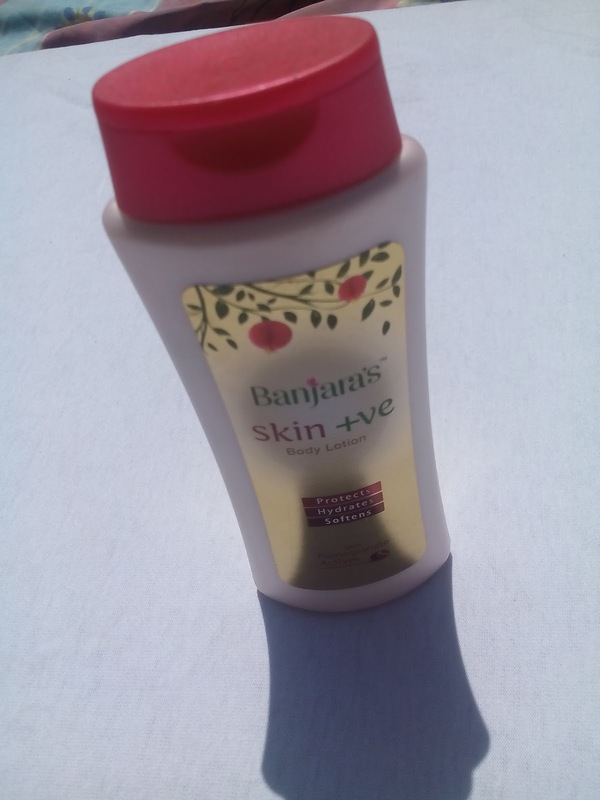 Take a dollop of the lotion onto your palms and smooth onto your skin. Massage gently till it is absorbed. For best results, use immediately after bath. The texture of the lotion is neither too thick nor too runny. It has a very mild and soothing fragrance. 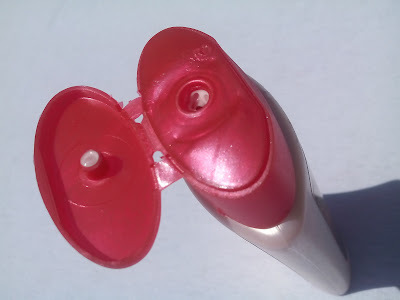 It absorbs quickly into the skin and isn’t greasy at all. 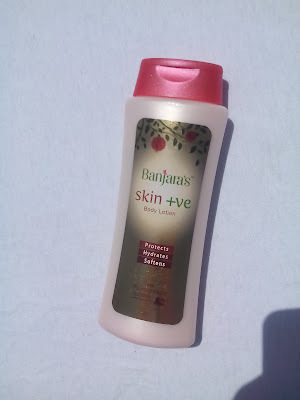 My skin feels very soft after applying this. 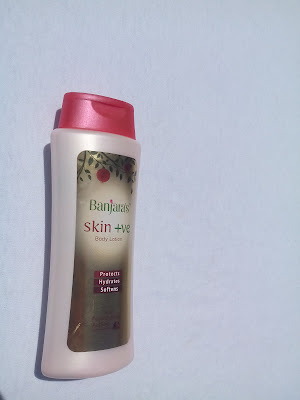 The moisturizing power stays for long time at least for 5-6 hours.